Project: Madrid-Barajas Airport is located on the northeast of Madrid, Barajas district, only 12 kilometers from Madrid city centre. The airport changed its name from Madrid-Barajas to Adolfo Suárez Madrid-Barajas in 2014. Adolfo Suárez Madrid-Barajas is the first airport in Spain, regarding passenger traffic, transport of goods and operations. It occupies the 5th position in the ranking of European airports based on the Eurostat agency data from year 2014, and is the fifteenth in the world by passenger traffic, according to ACI agency statistics from year 2014, with more than 29 million passengers and transported in 2014. 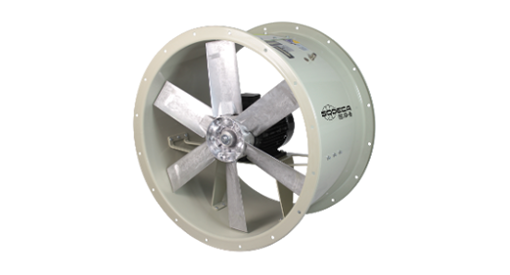 System: Tubular axial extractor fans system based on THT.